This step is to add your students as users to your class blog so they can write posts on it. Why Add Students As Users To Class Blogs? Normally when a class blog is initially set up you’ll be responsible for writing posts, and the students respond by writing comments. This gives you time to increase your skills while gradually introducing your students to blogging and educating them on appropriate online behaviour. 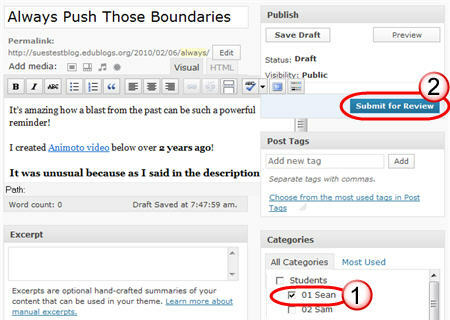 Do you want students to write posts on the class blog? Do you want them to have their own student blog? Factors you need to consider include student’s age, time and motivation. As student’s age increases you are more likely to want them to write posts on the class blog or their own blog (i.e. as a general rule Kindergarten and Grade 1 students write comments only). Ownership is an important part of blogging; as it’s an important part of life. We all take better care of and have increased motivation when we feel personal ownership. Students are no different from adults. Ever tried to set up adults on a group blog? Incredibly challenging — often one person does the bulk of the publishing! Yet each individual happily posts on their own blog. 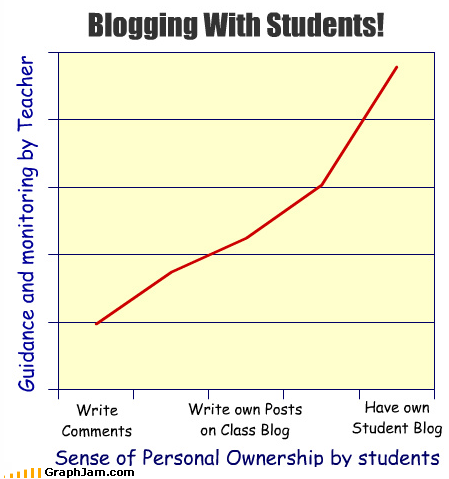 Increasing student’s blogging role increases the time spent providing guidance and monitoring their online activities. However, your students learn more, are more motivated and their writing improves faster. PS You can create your own GraphJam here! What Role Do You Assign Students on Blogs? The five roles for users you can give students on class blogs or on their student blogs are: Administrator; Editor; Author; Contributor; and Subscriber. 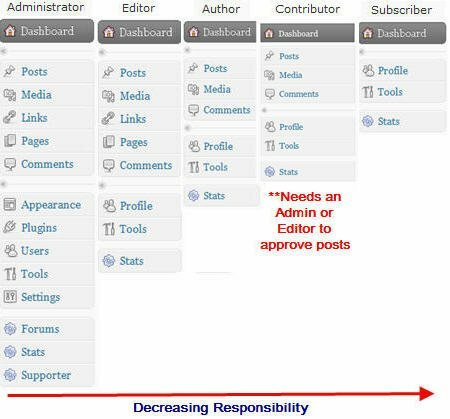 If you want to approve all posts before they can be published then assign them the role of contributors. For more info refer to Managing Students on Blogs…What Role Do You Assign Students? 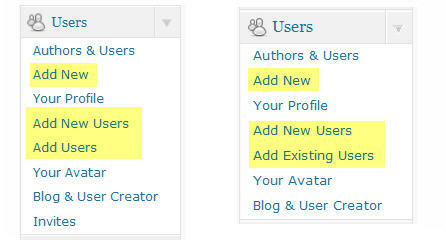 Add New Users is the fastest way to add students quickly to your class blog — if they don’t have a username. 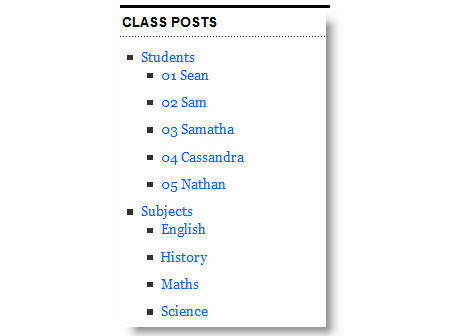 Add Users (or Add Existing Users) is the fastest way to add students quickly to your class blog — if have a username. 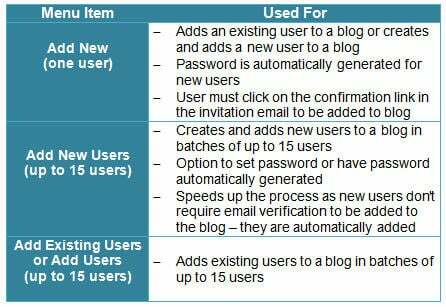 Refer to Creating and Adding Users to blog for detailed instructions on how to use each. If your students don’t have email addresses the simplest solution is to set up their accounts using one Gmail account and then add a + sign and a different number and/or letter(s) to the end of your email name for each student. How it works is Gmails ignores anything in the first half of an email address after a plus sign. 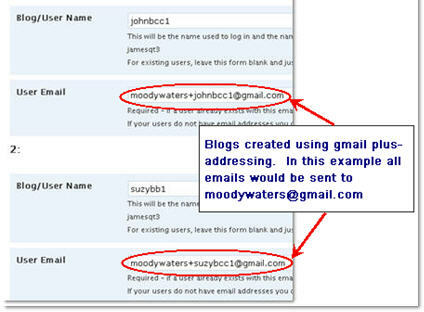 This also means that if you want to moderate comments on student posts they will be sent to your email address. Educators new to blogging often struggle with when you write Posts as opposed to Pages. The best way to manage your student work is they write posts and assign their name as a category to the post before they publish their post. This makes it easy to find and manage their work. 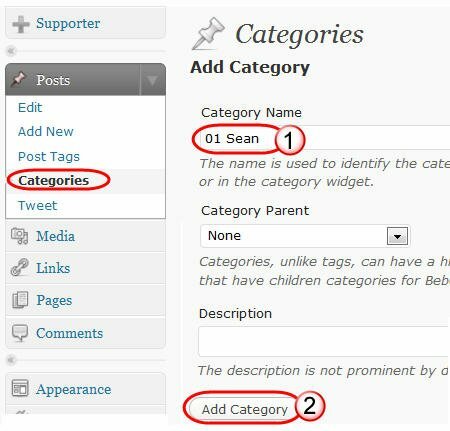 You display the categories assigned to posts in your blog sidebar using the categories widget (here is how to add widgets). This means when you click on the name of a student in your sidebar it’ll loads a page with all posts that use that student name as a category — check this out in action on Mr.Toft.ca! Watch Nathan Toft’s excellent video to see how he adds students to blogs and assigns them categories! Categories won’t display in your category widget until it has been assigned to a post. You use Category Parents if you want to sort your categories into groups. For example, you might have Student as a parent category and then all Student names underneath. Then you might have another parent category for subjects and have all the subject names underneath. 5. 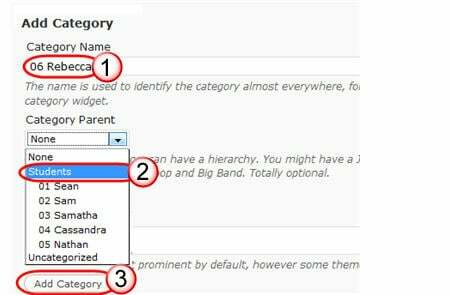 Select the desired Category Parent (e.g. Student) from the drop down menu and click Add Category. 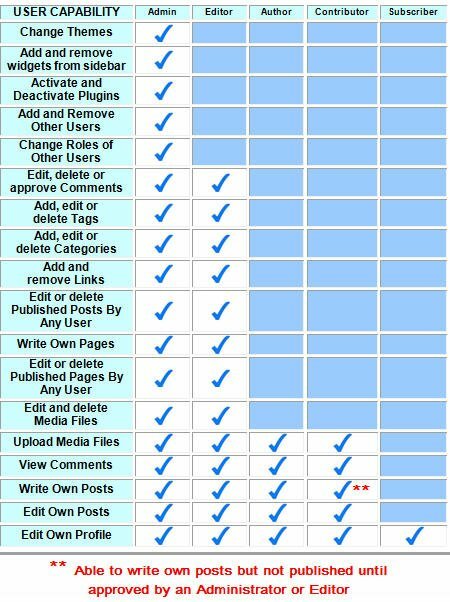 These steps were created as part of the preparation for the Student Blogging Challenge — the next challenge starts September, 2010. Please a comment on this post if you need help setting up your class blog just — I’m always happy to help! You can find a detailed description about how to add student or authors to a blog.